Barn House Lodge offers top quality accommodation in our spacious family home and we hope you are as comfortable as you are in your own home. We are quietly located in a small lane close to the centre of Pulborough which has a variety of shops including a Convenience Store, a Chemist, Dry Cleaners and a Café serving lunch. There is ample parking for several cars and from the house it is possible to walk down over the water meadows to the River Arun. Also within easy walking distance there are several pub/restaurants for an evening meal. 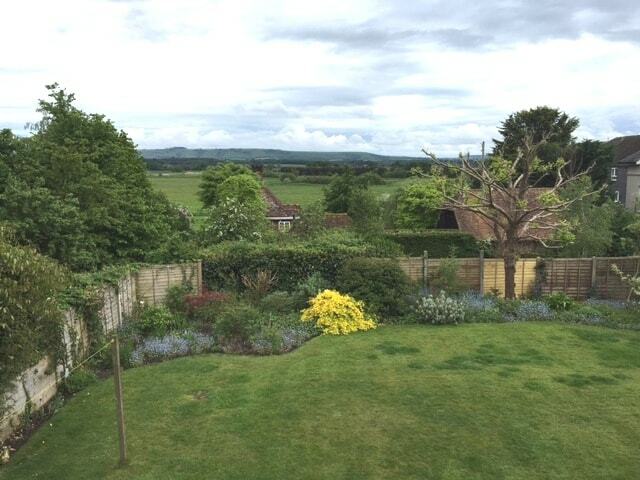 There are two large, bright rooms with great views over the "Wildbrook Meadows" towards the South Downs. One Double room with an en-suite bathroom and one Twin room with a hand basin and a separate bathroom. Both rooms have TVs and tea and coffee making facilities and the bathrooms have baths and power showers. Pulborough has a main line station in the village with services to London and the South Coast and Barn House Lodge is within forty minutes´ drive of Gatwick Airport. Guests can leave their cars here and take the train to the airport (approximately 30 minutes) for a small extra charge. Within 5 minutes drive or half an hour´s walk you will find RSPB Pulborough Brooks Nature Reserve with its cafe and shop and Bignor Roman Villa is also close by. There are several local vineyards which offer tours, Nytimber, Stopham and Nutbourne and lots of pubs and restaurants to choose from. Within easy driving distance are the coastal cities of Brighton, Chichester and Portsmouth and inland we have Arundel with its spectacular castle and cathedral, and Goodwood famous for horse racing and the renowned Festival of Speed and Goodwood Revival weekends. The South Downs are close for walking as are several beaches on the South Coast. We are well placed to visit Petworth House, and Parham House which are close by. Cyclists and ramblers are well catered for. Bikes can be safely left here overnight and wet boots dried by the Aga for the next morning! 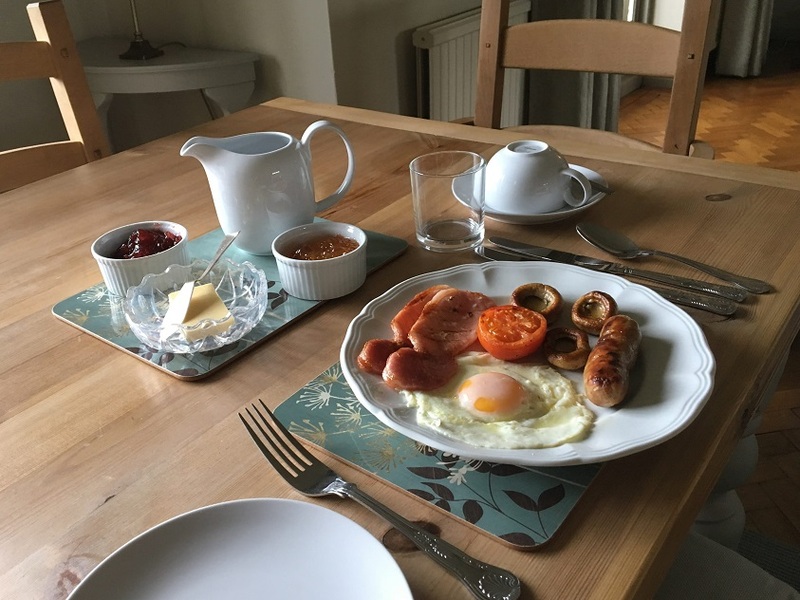 We provide great B & B accommodation, with a cracking, locally sourced, full English Breakfast. Free Wi-fi available.